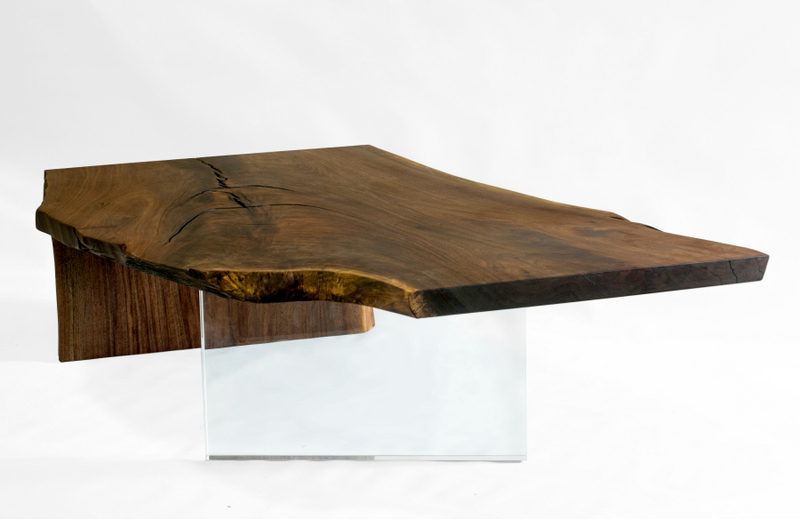 The claro walnut live edge waterfall coffee table highlights the natural beauty of the wood. 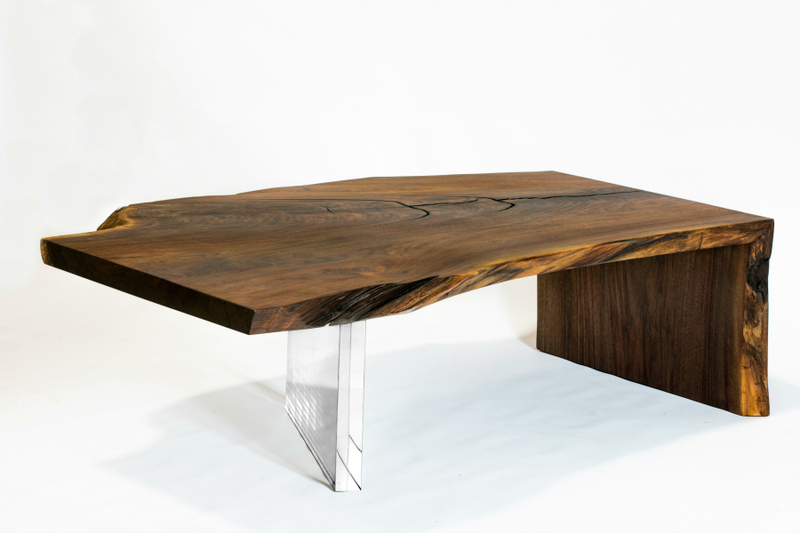 Two waterfall claro walnut tables are shown. One table features a live edge leg while the other table features an acrylic leg. 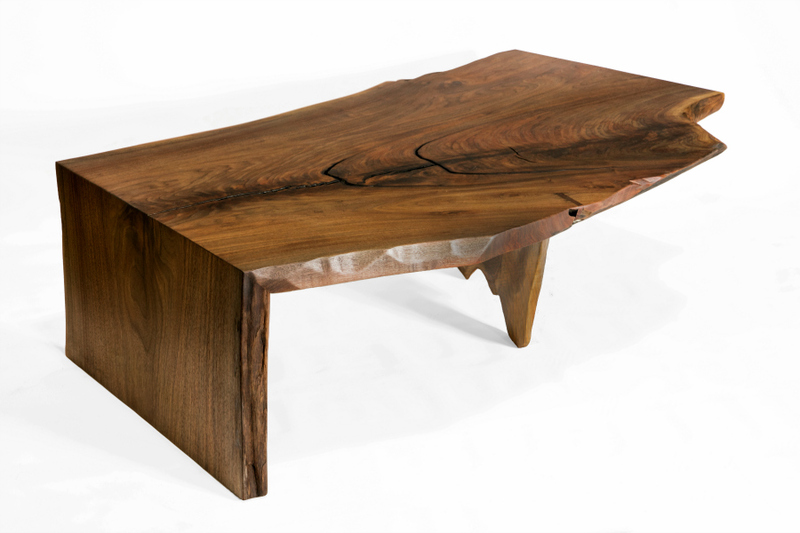 The approximate size of this claro walnut tables are 57″ (L) x 37″ (W) x 18″ (H). 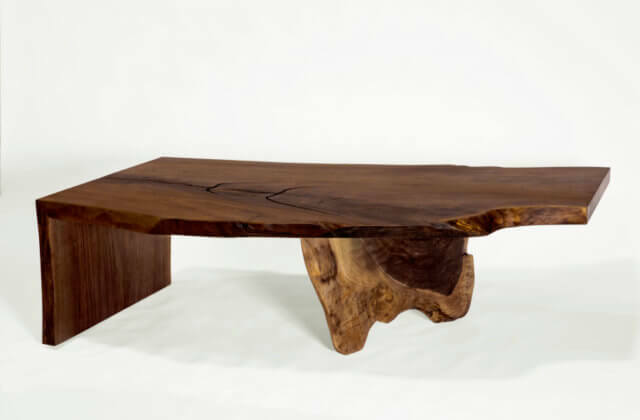 Custom sizes, other wood species and other legs are available.